The role of herbs and botanicals in myth and legend was the underlying inspiration behind the founding of Enchanted Meadow 36 years ago. Steeped in mysticism and medieval folklore, the germinal beginnings of this unconventional company grew and flourished to become a vibrant and dynamic enterprise. Founded in Vancouver, B.C, we are proud to be a truly Canadian company. All our products are manufactured on location under rigorous standards for purity and efficacy. Our eco-friendly collections are botanically based and formulated with the finest fragrances, essential oils and herbal extracts we can find. The magical and mystical elements that inspire our creativity are reflected in the new lines that we introduce each season. 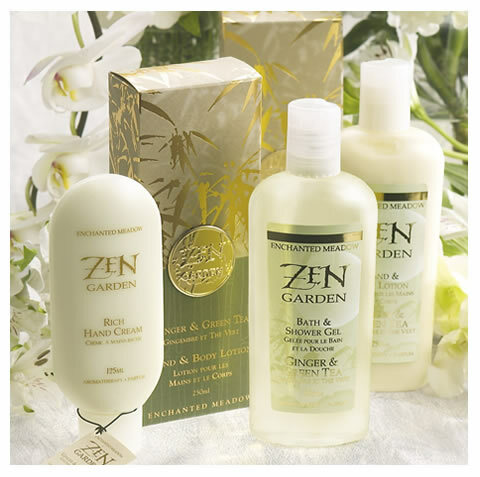 Soothing scents, colours and imagery work magic on our senses, uplifting energy and evoking calm and balance.